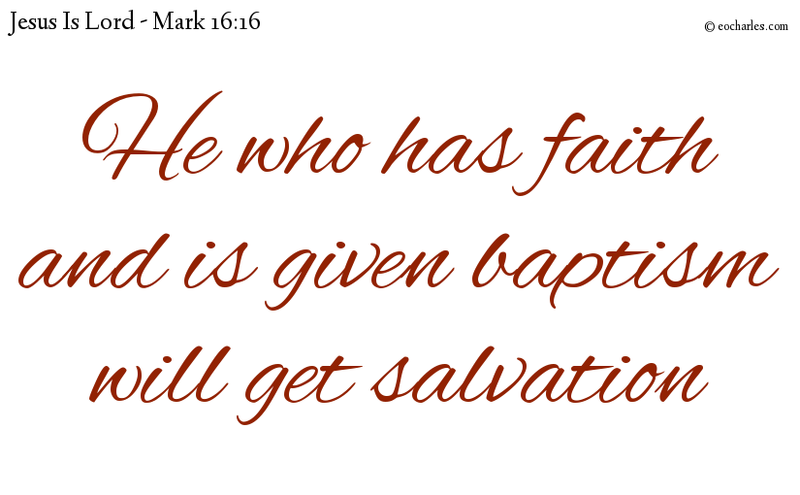 He who has faith and is given baptism will get salvation; but he who has not faith will be judged. 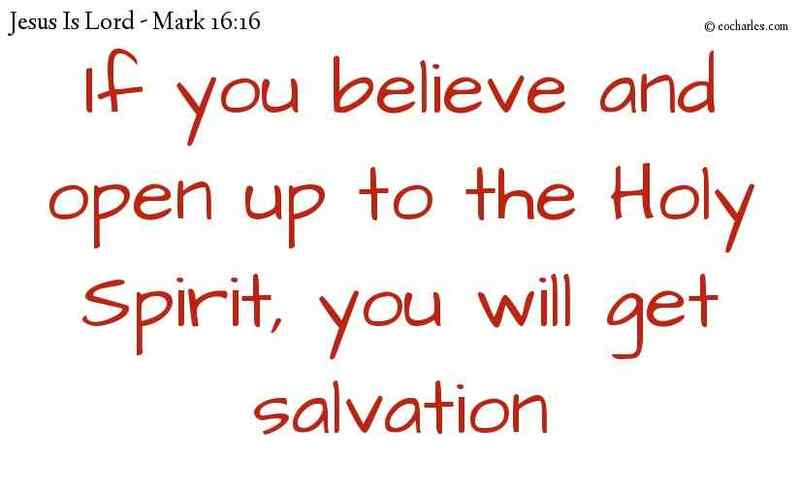 1)Joh 3:15 So that whoever has faith may have in him eternal life. Mat 3:12 In whose hand is the instrument with which he will make clean his grain; he will put the good grain in his store, but the waste will be burned up in the fire which will never be put out. 1. ↑ Joh 3:15 So that whoever has faith may have in him eternal life.